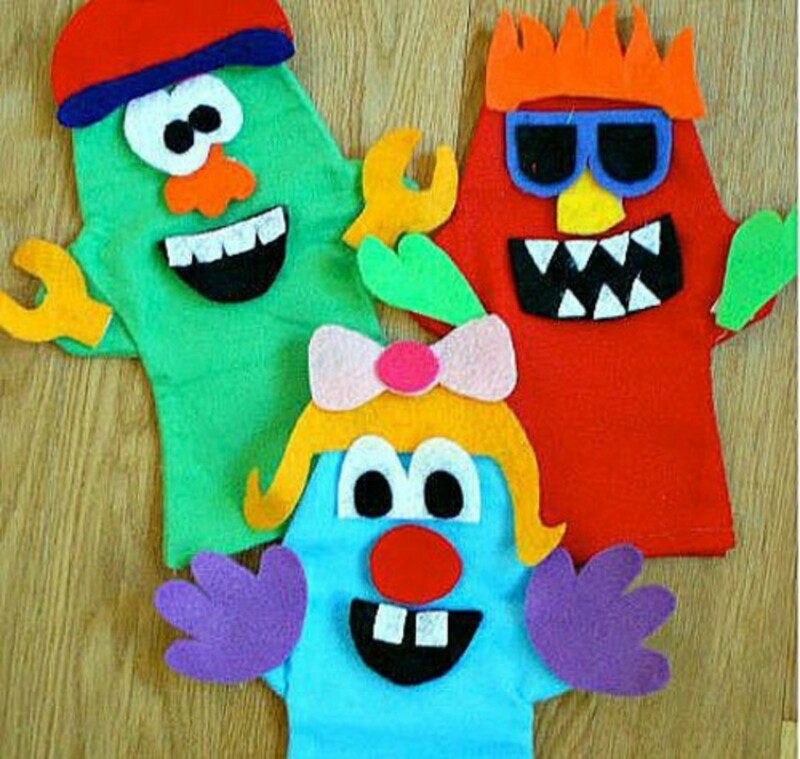 Latch hooking is a technique used to create rugs, usually using yarn and canvas, and the design possibilities are almost limitless - you could create anything from cartoon characters to mountain scenes. The finished rugs can be any size, and apart from keeping them on the floor, you could use them as artistic wall hangings, pillows, seat covers and much more! 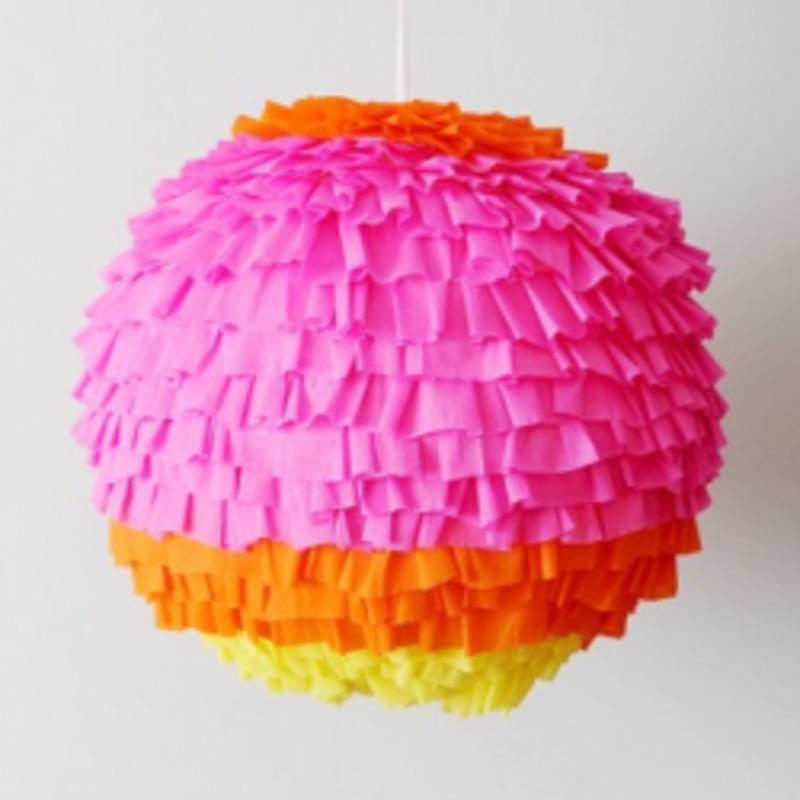 Below you will find links to the best websites for beginners, plus photos to inspire you and projects you can try yourself. 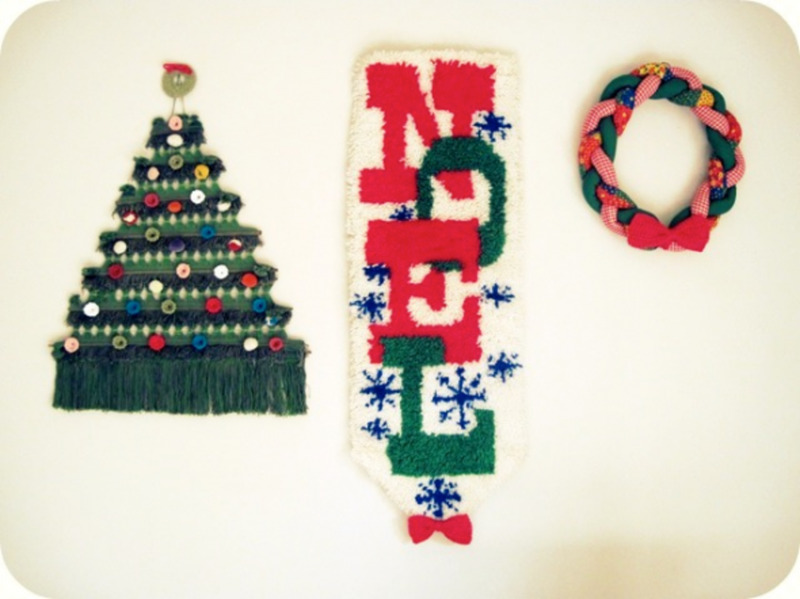 Latch hooking is quite a cheap hobby to start, as all you need is canvas, a latch hook tool and pieces of yarn (the yarn can be bought pre-cut into equal lengths or you can cut them yourself). The yarn can also be replaced by strips of other materials such as t-shirt jersey, fleece, felt or other fabrics. Each yarn piece is doubled up and pulled through a hole in the canvas mesh with the latch hook tool. The tool knots the yarn and secures it in place with one movement. This is simply repeated for every hole in the canvas, except for a border around the outside which is often folded over and has binding sewn on to finish the edges. 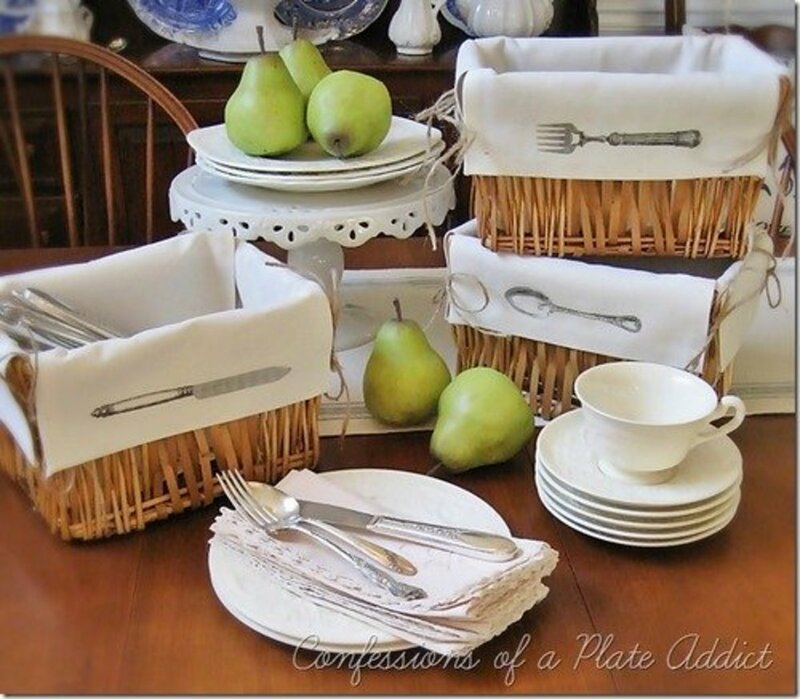 The best way to start is probably with a kit, which will contain a pre-printed canvas, pre-cut yarn in the colors you need, plus a tool and a pattern. If you complete a kit, you will easily learn the basics over the course of the project, which will allow you to then be able to invent your own designs. This is the time to get creative! 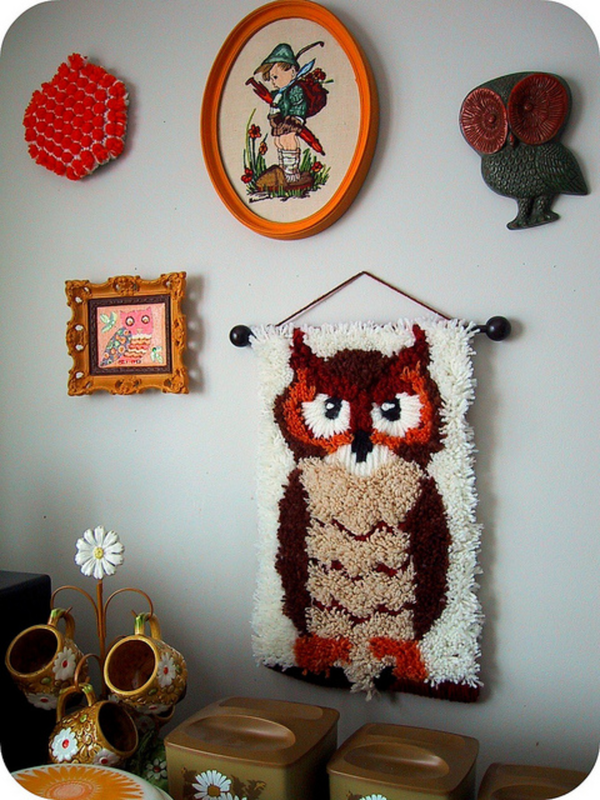 Unfortunately a lot of latch hook rugs look quite dated and kitsch, but please don't let that put you off this craft. You can create pixellated gaming designs, create patterns from your favourite photos or pictures of favourite singers or bands....you could recreate pop art designs, famous artworks, brand logos, write out your favourite song lyrics, create modern geometric designs....let your imagination go wild! Also bear in mind, you can find free patterns online - although it may be easier to search for free cross stitch charts, which can also be used to create rug designs. CLICK HERE to find links to lots of free charts. 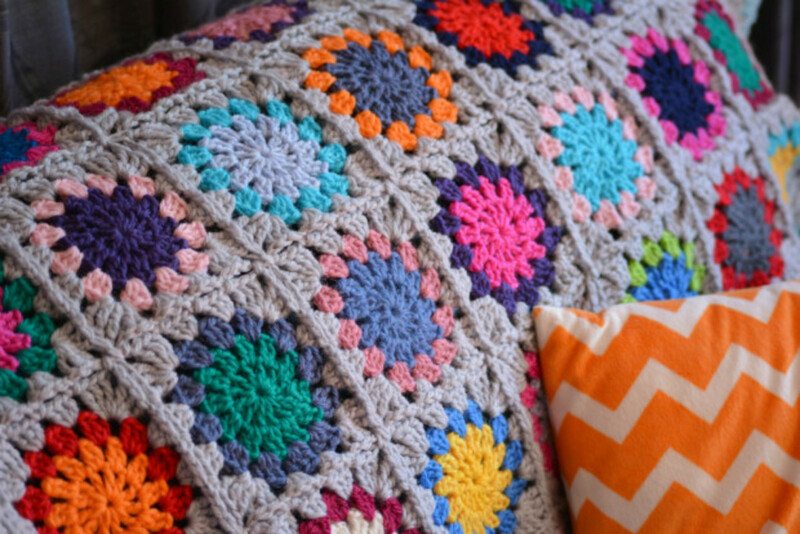 A neat way to finish off the edges of your rug project. The must-have tool for any latch hook rug. The following links will take you to pages that will guide you through the simple process of latch-hooking. It's a very simple technique and once you have mastered it, the world is your oyster! Quick instructions for how to make a rug using a kit. Including how to cut yarn yourself and how to add a fringe. A handy photo showing the technique for cutting your own yarn. This diagram shows how you attach a piece of yarn to the latch hooking canvas. 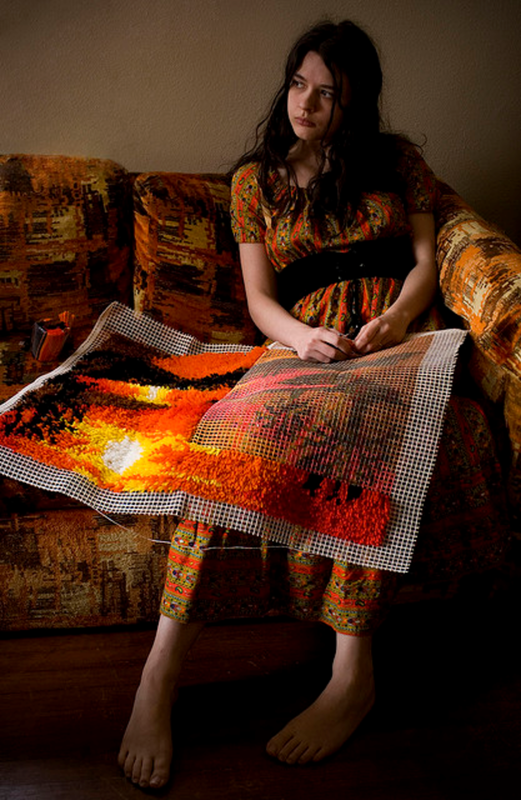 You will need a latch hook (tool), the mesh canvas and lengths of yarn. 1) First you must take one piece of yarn and fold it in half over the rod section of the latch hook. 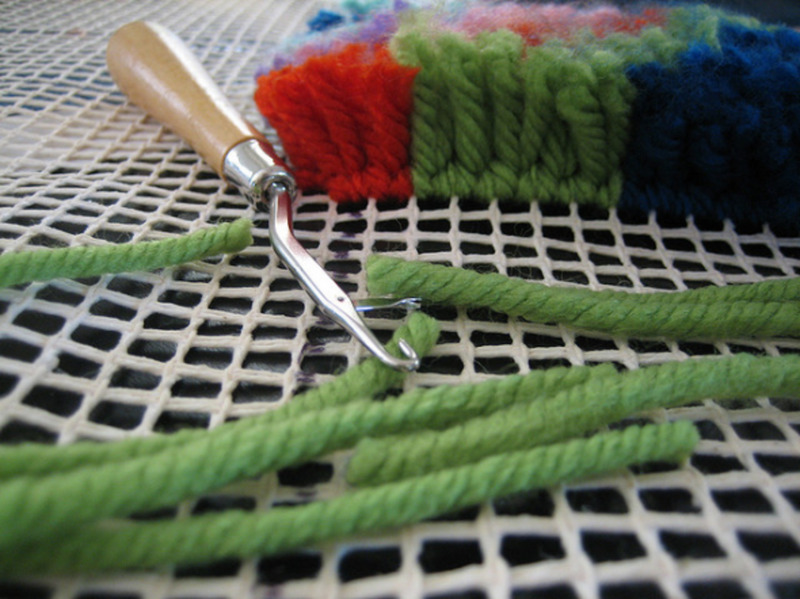 Both ends of the yarn should line up with each other and remain like this until you finish attaching it to the canvas. 2) Next you hold both ends of the folded yarn piece to keep it in place, whilst you also push the latch hook down through one hole of the canvas and up through the hole above. So now you will have pushed the hook through the mesh so it is lying under one horizontal section (bar) of mesh. The hinge part of the tool (the 'latch' part) will open as you push the hook through the canvas. 3) You take the tail ends of the yarn piece and lie them across the tool so that they go from one side to the other and fit between the hook and the latch. 4) Pull the latch hook down and out of the canvas holes. As you do this, keep hold of the yarn tails until just before they are pulled down through the mesh. The latch will close when the tool is pulled through the holes, and will therefore enclose the yarn piece inside.Once the tool has been pulled through, the yarn piece will be released and you can then tighten the yarn knot with your hand if necessary. Done! A great idea for recycling old t-shirts. How to create a rug using fabric strips rather than yarn. How to turn a photo into a rug design. Another t-shirt rag rug to make. Use this software to create a unique design from a photograph. This funny idea makes even Mrs Doubtfire look sophisticated! 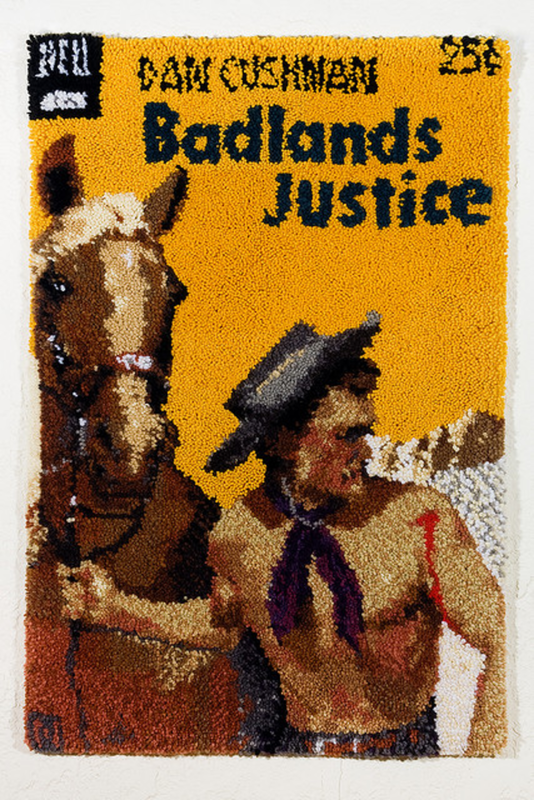 Hilarious rug design created from a photo. With beautiful photos to illustrate the instructions. Books are fantastic resources for beginners as well as for people looking for new ideas and challenges. 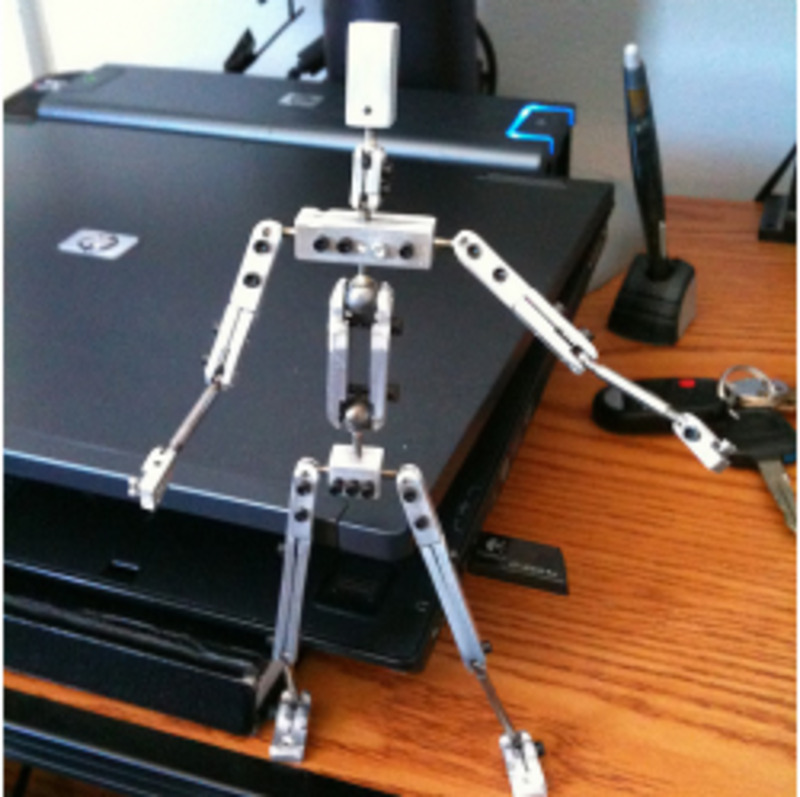 They provide expert instruction, tips and design patterns to follow. You will also find some fun kits to try - not just rugs but also cute toys like the penguin below - and also some handy equipment for holding your project whilst you work on it (which is very helpful for large rugs). 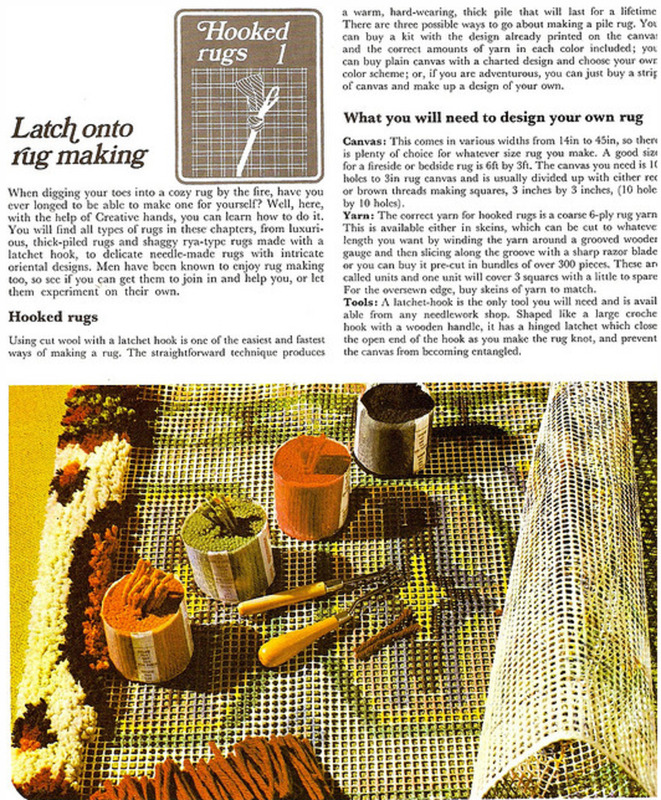 Have you ever tried to make a rug before? I started a latched rug quite a few years ago and now, to finish it, I need more wool but can't find the right sort or colours anywhere! Pre cut is no good as it is too short. I need skeins. Any suggestions? 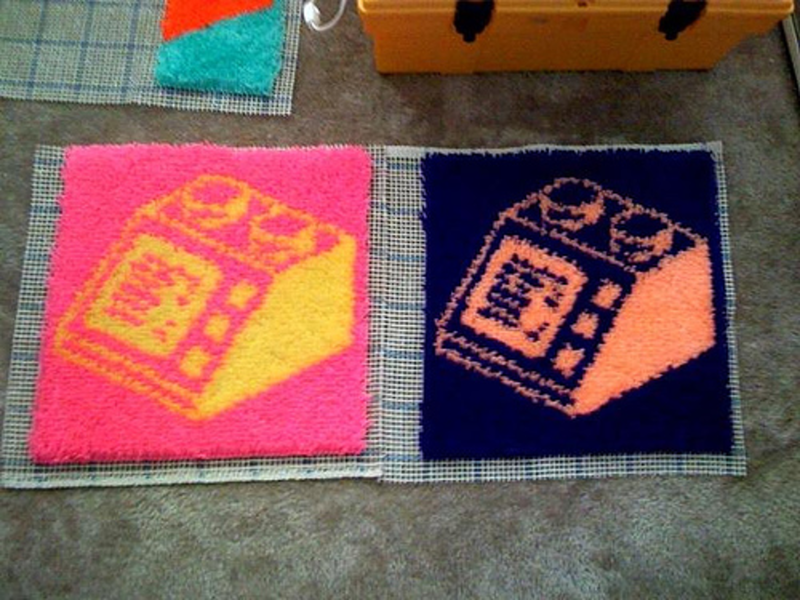 Grew up with home made rugs. Have made a couple of rag rugs myself from scratch, badly! Would like to design a half moon shape as a fireside rug, but using a kit and wool strands Is this possible, and if so, any suggestions of companies who would do this? I remember my mom getting all 5 of us kids a rug to make with our name on it. We had to work on it at least an hour every day during the summer. I was so glad when that rug was finished!